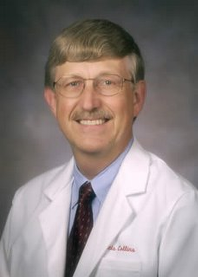 Last week, President Barack Obama nominated physician and geneticist Francis Collins as the next Director of the National Institutes of Health (NIH) . From 1993 — 2008, Dr. Collins was the first Director of the NIH’s National Human Genome Research Institute (NHGRI). He led the U.S. government’s Human Genome Project, which decoded the DNA sequence of 20,000 — 25,000 genes. In the past, Collins’ research laboratory at the University of Michigan has identified a number of important genes, including those responsible for neurofibromatosis, cystic fibrosis, Huntington’s disease and genes for adult onset (type 2) diabetes. More recently, Collins has been a proponent of personalized medicine or genomic medicine, which leverages specific genetic knowledge for the delivery of effective healthcare. Medscape interviewed him about genomic research and personalized medicine two years ago, where he said that incorporating individualized medicine into the mainstream will necessitate a change in healthcare economics. As NIH Director he will undoubtedly have a voice in the ongoing healthcare reform debate in Washington. The National Institutes of Health stands as a model when it comes to science and research. My administration is committed to promoting scientific integrity and pioneering scientific research and I am confident that Dr. Francis Collins will lead the NIH to achieve these goals. Dr. Collins is one of the top scientists in the world, and his groundbreaking work has changed the very ways we consider our health and examine disease. I look forward to working with him in the months and years ahead.